At this point, Weezer may be better at creating WTF internet memes than making songs. Here they go again with the cover for their upcoming record Hurley, due out on Epitaph September 14. As Spinner reports, the cover is a close-up photo of Jorge Garcia-- aka Hurley from "Lost"-- as you can see. He looks happy to be off the island. 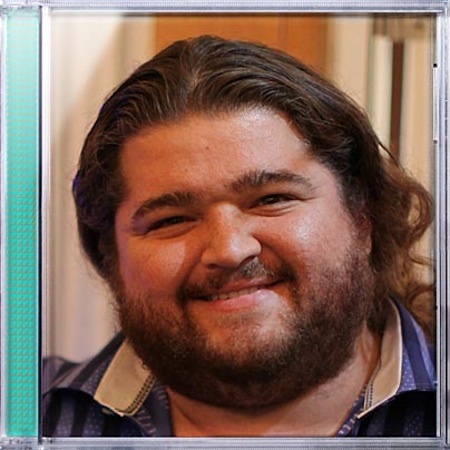 In an e-mail interview, Weezer frontman Rivers Cuomo told us the rationale behind the sleeve: "We just wanted to use that picture of Jorge Garcia's face on the cover. It's such an amazing album cover, and we didn't want to have any other words on it, so we just figured everyone was going to call it Hurley, so that's what we call it." Pitchfork: Why did you decide to sign with Epitaph Records for this release? Rivers Cuomo: Our seven-record deal with Geffen was up. [Epitaph owner and Bad Religion guitarist] Brett Gurewitz made us an offer we couldn't refuse. He is a fan of the band and was helpful with getting the mixing and mastering done at the end of the record. It is cool to have a label head that is also a songwriter, in a band, and produces records. Pitchfork: What are some advantages of being on Epitaph as opposed to Geffen? RC: The record deal is about a million times better. We own the masters. It's an experiment and we're all going to find out what the advantages are. Pitchfork: Could you have re-signed with Geffen if you wanted to? Pitchfork: Did you work with Ryan Adams in the studio? Did you guys bond over obscure metal albums? RC: We were mostly so excited with what we were writing that we didn't have a chance to talk about old metal. In any case, I think his knowledge of metal lore is deeper even than mine, so I was out of my league. Pitchfork: Some people reacted negatively to the mainstream pop production and sound of Raditude. Does Hurley continue with that sound or is it different? RC: Hurley is definitely a raw, unpolished, high energy "alt-rock" album. Pitchfork: Now that you're on an independent label is your music going to be more "indie" i.e. less polished and pop-sounding? Pitchfork: Are any of the songs you did with Katy Perry going to be on this new Weezer album? Pitchfork: Are there any more Weezer-brand products in the works a la the Wuggie? Posted by Ryan Dombal on August 9, 2010 at 2 p.m.